It all started with a vintage Presto fry cutter...more accuratly the lack of Presto fry cutter in my paws after leaving the thrift store. For some reason or another, I over thought that little thing and put it back on the shelf. Well, three days later, I came to regret not purchasing it. What else is a gal to do but go back and hope by some miracle it was still there? The bad news: no Presto fry cutter to behold. The good news: found something much better. As you can see, I had a good day thrifting. The Pyrex Town and County casserole is my first dish of this shape in the 1.5 Qt size. 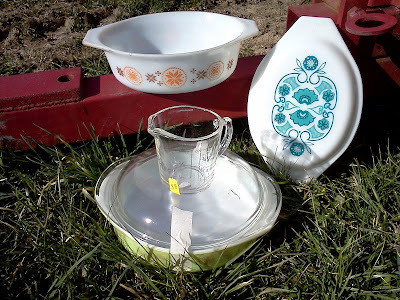 Also found was the Pyrex Horizon Blue lid - sans dish - but for 79 cents and in excellent condition, it was in my buggy. Hopefully one day I will find it's other half. The Pyrex lime cake pan was oddly paired with a lid that fit, although it did not originally come with it. I do have plenty of casseroles which it is supposed to go with though, so no arguements here. The measuring cup is actually Fire King. It intrigued me because it had the black writing (although slightly worn). I'm sure it will fit in well enough with it's Pyrex buddies. Doesn't it always amaze you the power a little elbow grease has? I definitely want a town & country for my collection. 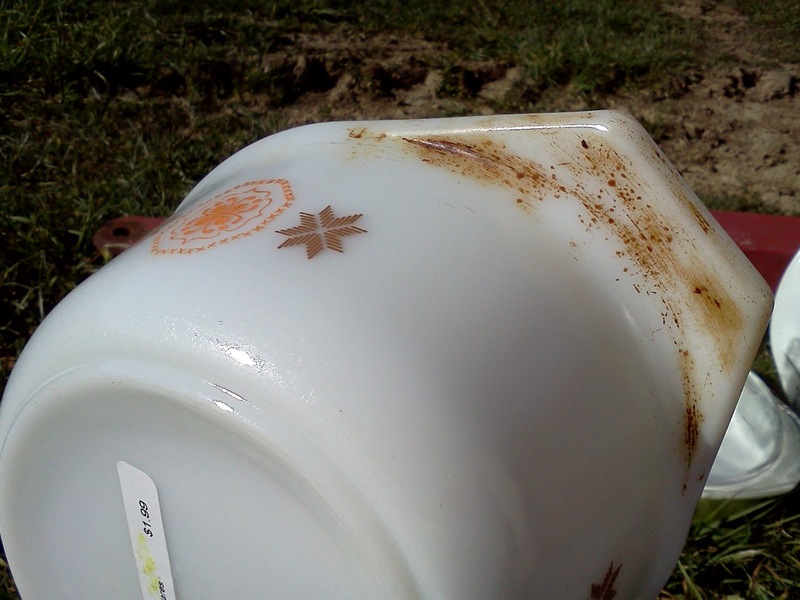 And good to know that the magic erasers work well on Pyrex! They work wonderfully! 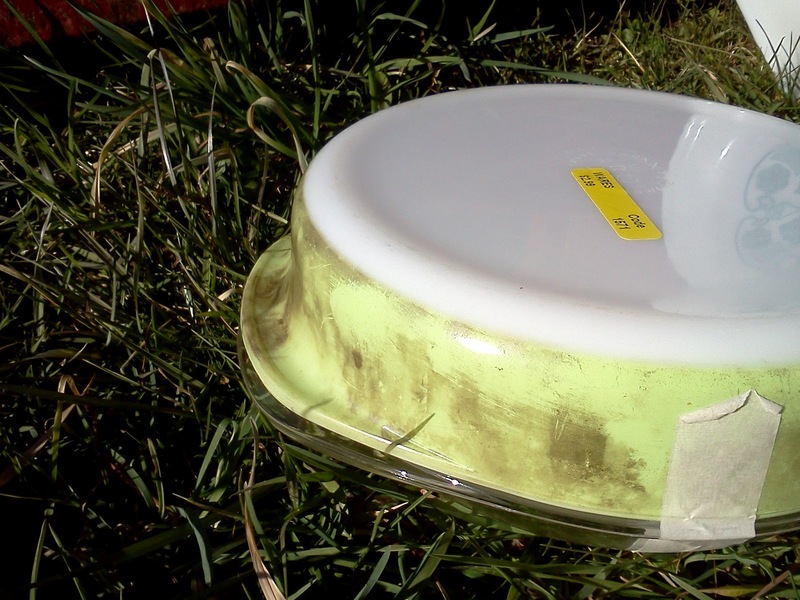 There are very few things I have encountered with Pyrex gunk that a magic eraser couldn't at least help with.